The Hi-Boy Series whirlpools offer complete coverage to the back, hip and shoulder areas. If full immersion is not desired, an optional Adjustable Suspension Seat can be utilized. 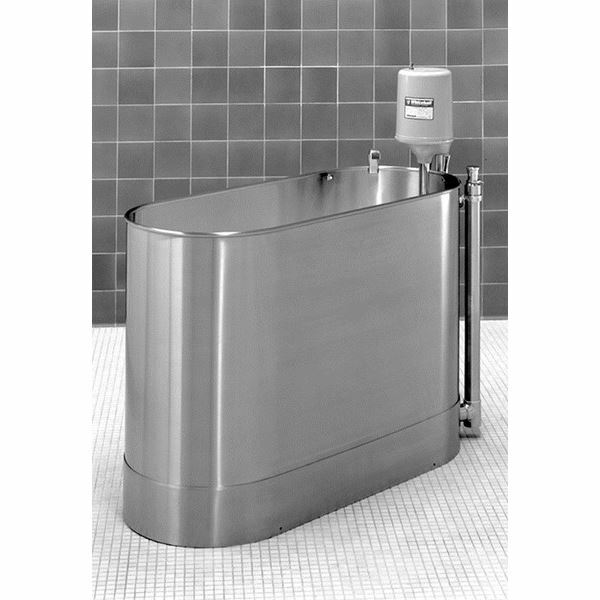 The Hi-Boy whirlpools, when coupled with the optional hydrotherapy treatment chair, can also be used to treat the lower extremities such as the lower leg, ankle and foot areas. This model is for use on upper back.